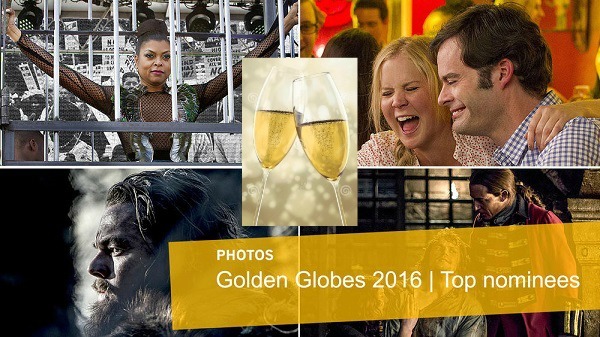 Tinsel & Tine Philly Film & Food Blog: The 73rd Annual Golden Globes Round Up 2016 / I'm Black & A Film Blogger - White Oscar Boycott Dilemma! 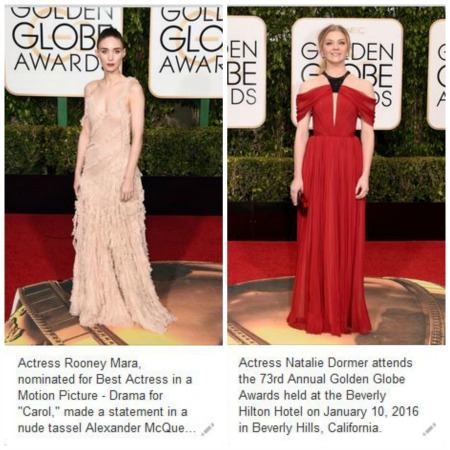 The 73rd Annual Golden Globes Round Up 2016 / I'm Black & A Film Blogger - White Oscar Boycott Dilemma! 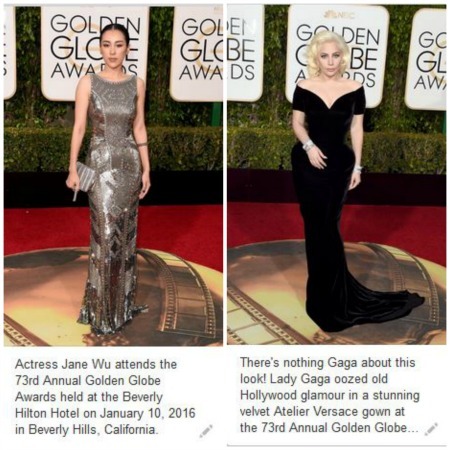 So another Golden Globes has come and gone. 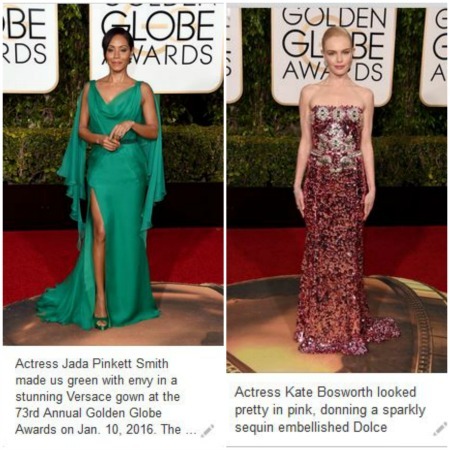 This would be my 7th Annual Golden Globe Round Up Post beginning in 2010, except, I watched, but didn't write one for 2013. Click for posts: 67th 68th 69th 70th 71th 72nd. Host Ricky Gervais' disdain for all and sundry hit a few gasps, but on the whole, was pretty tame. I have to admit last night, I was unaware of the whole Sean Penn and El Chapo surreal-ality, so that joke went over my head til I watch the Today Show in the morning. Someone tweeted that best buds JLaw and AShu should host next year. I say book em now! 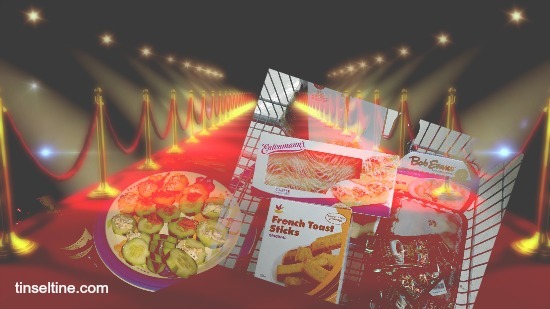 In keeping with the whole film and food thing, I always create a little Red Carpet Picnic to indulge in while watching and tweeting. One of these years, I'd love to get a restaurant sponsor, but I've been too lazy to really pursue it; after all, it's enough work to secure a T&T giveaway for my subscribers each month. LeVonne was away doing a show in VA this year, but Diane came over as per custom, and we indulged in Cucumber slices with Port Wine Cheese Spread and Bacon Ranch Spread, French Toast Sticks w real Maple Syrup, Land O'Lakes Mint Hot Chocolate (same brand they use at the Ritz movie theaters), Giant's Fried Chicken, Bob Evans easy heat up Mashed Potatoes, Skinny Girl Microwave Popcorn, G.H. Mumm Brut Champagne, Ginger Beer and for dessert buy one get one free Entenmann's Cheese Danish and Golden Cake with Chocolate Icing. Jamie Foxx's daughter Corrine makes a gorgeous Miss #GoldenGlobes Hope her career follows in the footsteps of her predecessors Kate Hudson, Bryce Dallas Howard and Dakota Johnson. #GoldenGlobes As usual Helen Mirren is my pick for best dressed, hair, makeup, sheer elegance and natural sensuality. 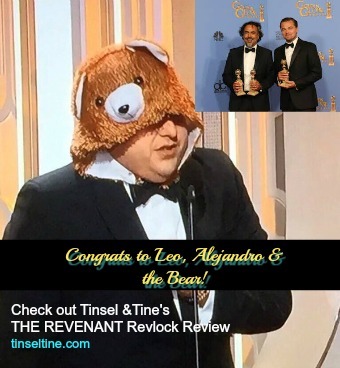 Jonah Hill as The Revenant Bear was a hoot. But seriously Leonardo DiCaprio presented a very polished, well pointed speech. Of course he's had a number of years to practice it! Ok. That's a wrap. I hope all the embeds pop in with picture and complete text. If not, you can always click on them to take you to the original. 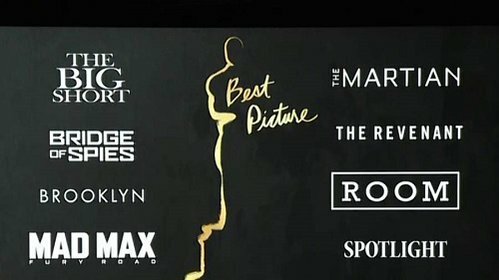 Now we wait until Oscar Sunday, February 28th! The nominations get announced this Thursday, January 14th. These Oscar ballot picks are based on What I Want to Win. I'm Black & A Film Blogger - White Oscar Boycott Dilemma!